Marvel Comics seems to have confirmed the return of writer Jonathan Hickman. An ad running in Marvel's March 20th releases suggests that Hickman new project will debut in July, right in time to get some added San Diego Comic-Con buzz. Marvel fans know Hickman for his work on Secret Warriors, SHIELD, Fantastic Four, Avengers, and Secret Wars. He hasn’t written anything for Marvel Comics since the Secret Wars event wrapped up in January 2016, though he’s been rumored to still be in the loop with the company. 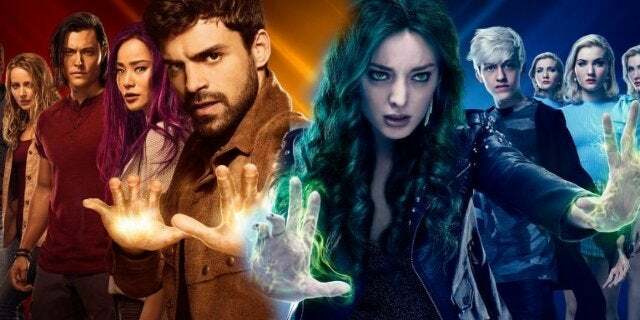 He’s also been rumored to be a potential new writer for Marvel’s X-Men franchise. Considering the similarities between this ad and one that appeared last week, it’s beginning to look like this may be the case. 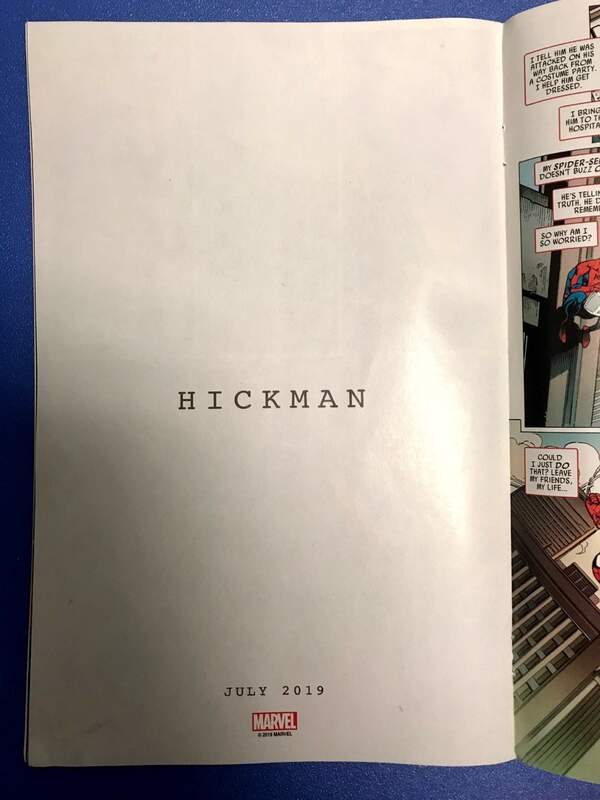 The add running in tomorrow's Marvel Comics releases only says "Hickman" and the date "July 2019." You can see a photo of the add, sent to ComicBook.com by a retailer, below. The ad's style is identical to an ad that ran in last week's Marvel Comics. That ad read, “When two aggressive species share the same environment, evolution demands adaptation or dominance.” It offered no further explanation. 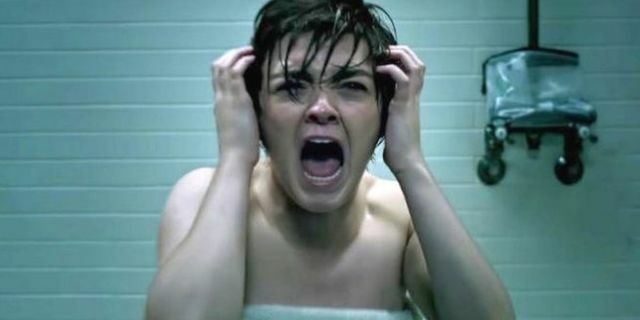 The notes about “aggressive species,” “evolution,” and the choice between “adaptation or dominance” in the first ad all suggest that it is X-Men-related, though some believe it may be another property. The Inhumans is one possibility, especially considering they're completely absent from Marvel's current line, but the Inhumans don’t evolve; they’re modified. Some also believe that the ad could be for a relaunch of the Eternals. Hickman has expressed some interest in the Eternals in the past, and the group is due for a big push since Marvel Studios has an Eternals movie with them in the works. The themes also wouldn't be totally out of place since they are an offshoot evolutionary path. But the X-Men seem far more likely to be the subject of the ad. Uncanny X-Men relaunched in December, and the X-Men line is currently in the midst of the alternate reality Age of X-Man event. In the main Marvel Universe, Cyclops and Wolverine are working together for the first time in years to rebuild the X-Men from the few mutants who remain. This could all be, in part, clearing the board and setting the stage for Hickman's run. The final issues the Age of X-Man miniseries will release in July, in time with whatever Hickman project Marvel is teasing here. But nothing is certain yet. We can't know how long Marvel is going to tease this out. If Hickman's project is to launch in July, that means they have another full month before the first issue's solicitations will be revealed. Hang in there, Marvel fans. What do you think or hope Hickman's new project will be? Let us know in the comments.